Move-in-ready! This house has been completely remodeled. 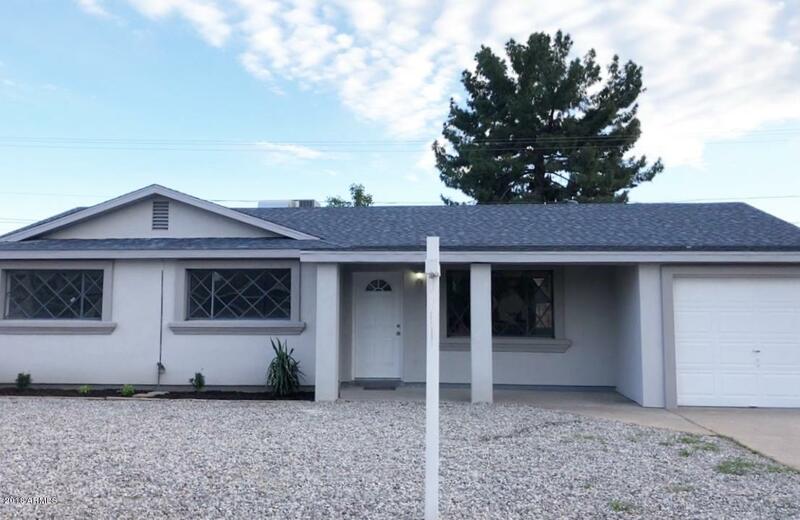 Brand new roof, new stucco and exterior paint, new A/C UNIT, new kitchen and bathroom cabinets, new granite countertops. Fresh interior paint and tile throughout the entire house. Stainless steel appliances. This beautiful home has a spacious Arizona Room overlooking the private pool. NO HOA! Located perfectly in metro phoenix close to shopping malls, restaurants, Castles n Coasters, ASU-West and more.